Our platform works seamlessly with your existing website. Beyond a wide variety of customization options, we offer a couple of ways to integrate it into your site. 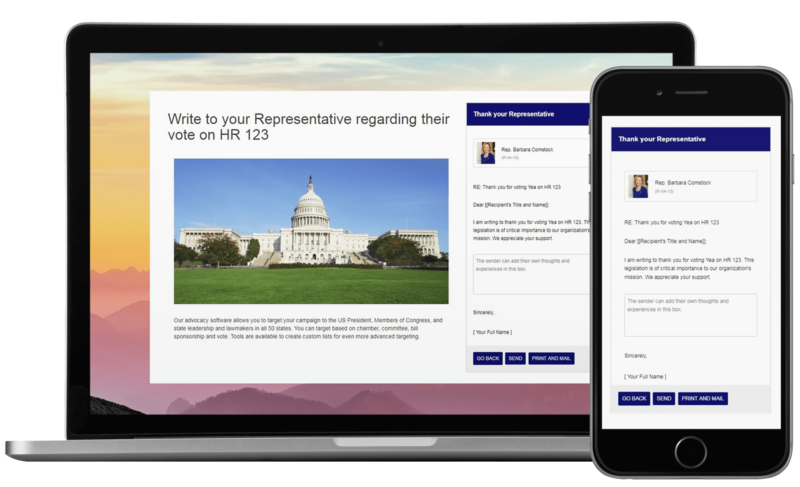 The action center gives your advocates access to all of the public campaigns you are running, legislation of interest, information about their elected officials, upcoming election information and more. 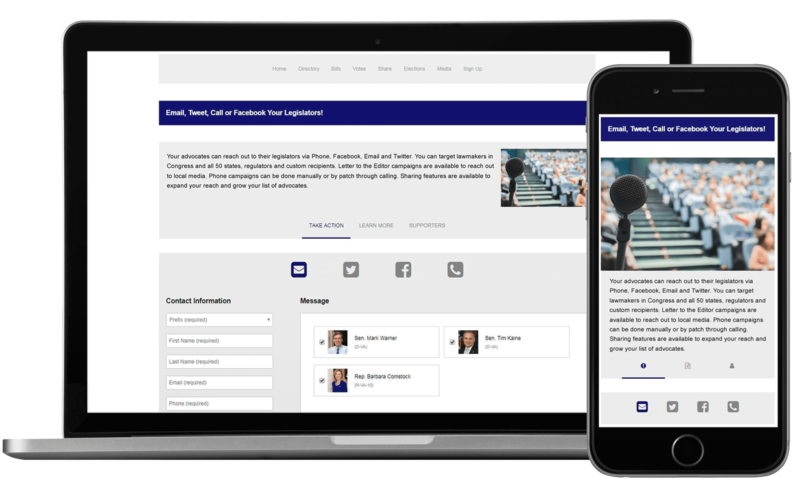 The action websticker is a compact way for advocates to take action on a single campaign. You can include more than one of these in a single page. You can also include these in affiliate sites to increase traffic.